The following post contains affiliate links. If you make a purchase, I will make a commission at no extra cost to you. I only recommend products I love. Ya’ll know I love self care! Encouraging women to incorporate it into their daily lives is super important to me and my mission. When I first heard of Oxford Momma , I thought, “how stinkin’ cool! 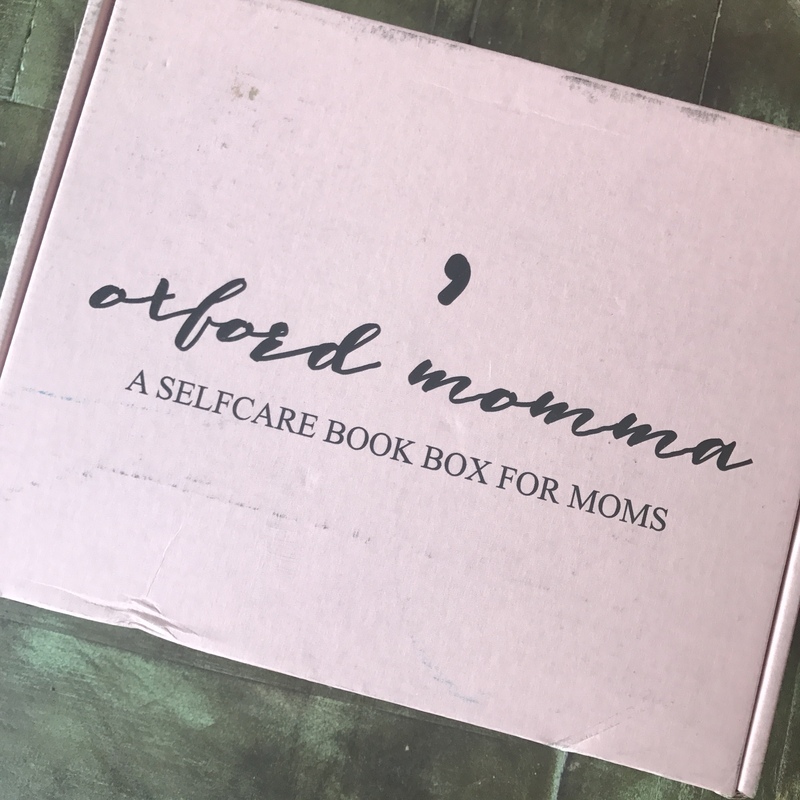 A self care book box for moms!” I was so excited to receive a box to review. When that pretty pink box showed up on my porch, I couldn’t wait to open it. What’s included in the Self Care Book Box? In the self care book box, you receive a book plus 4-5 self care items each month. With the May box, I got the book plus a fantastic candle, chap stick, and bath butter bomb. I also received a postcard and book mark with inspirational quotes that I was instructed to either keep for myself or pass on to a friend. Prior to receiving the box, I got a post card from Oxford Momma telling me that my order was on the way. I love the thoughtfulness and personalization. It definitely stood out to me and made me feel special. Self care is a must for everyone. As a mom, I find it so easy to put myself on the back burner thinking that it makes me a better mom. On the contrary, it usually makes me a grumpy wife and mom. I was also under the impression that self care meant spa visits or mani/pedis. Those things are great, but self care is so much more than that. It’s a warm bath or a quiet cup of coffee before the kids wake up. It can be reading a great book or watching your favorite comedy. The possibilities are endless. I absolutely love finding companies that get it. Oxford Momma totally gets the struggle that many moms face when it comes to their own self care. 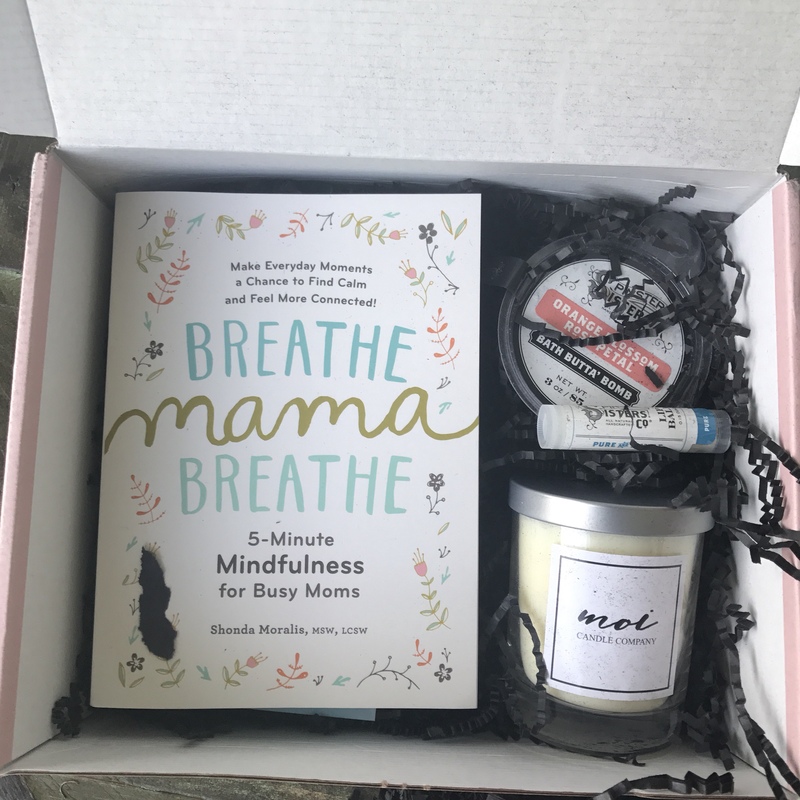 This Self Care Book Box for Moms is an awesome opportunity for moms to take some time and treat themselves. I defintely recommend this monthly box for all the mommas out there. 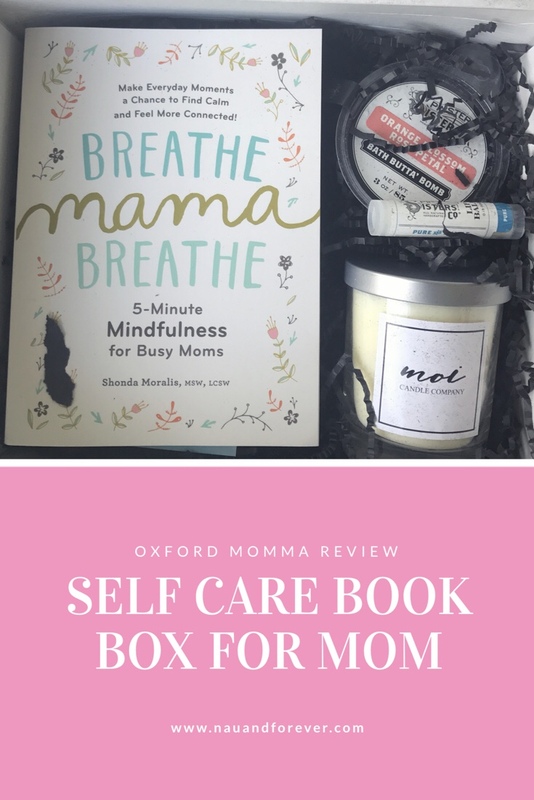 How Do You Get Your Self Care For Moms Box? 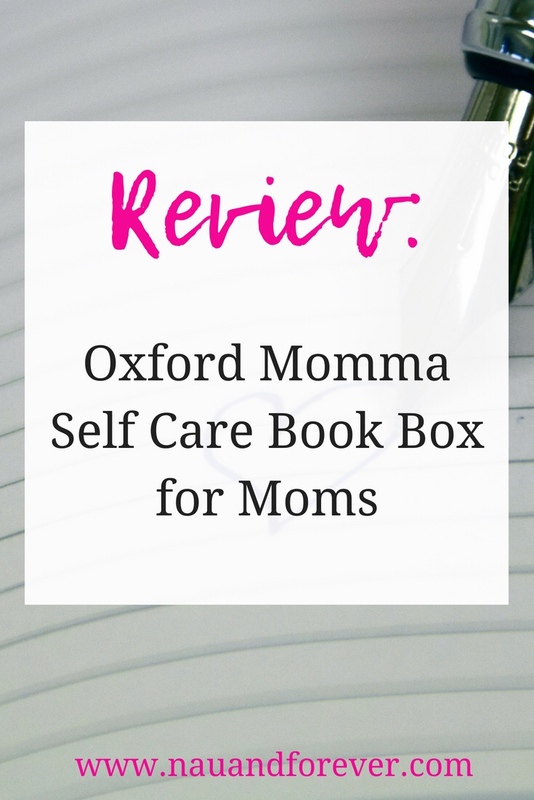 Laura received the Oxford Momma Self Care Book Box for Moms for free in exchange for her honest review. All thoughts and opinions are her own.